Controversy over a new ban on begging and camping out in Como’s city centre flared up last Monday (December 18) after volunteers who were distributing food to the homeless were told to leave the area by authorities. A Facebook post published by some of the volunteers said they have been distributing food to Como’s homeless for seven years and this was the first time they were forbidden to do so. 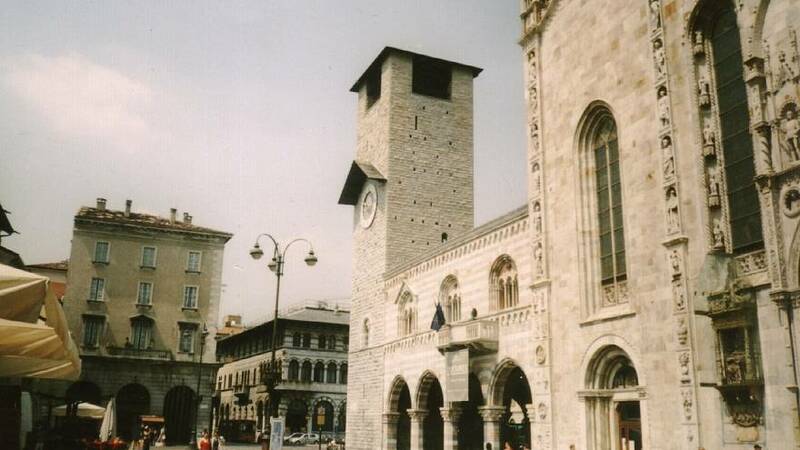 Last Friday, the mayor of the northern Italian city, Mario Landriscina, signed a decree banning begging or camping out in the historic city centre for 45 days, stating the legislation aimed to “protect urban decorum and livability” during Christmas holidays. The decree states that homeless people were sometimes "drunk and perform their physiological needs" in central areas of the city, and claimed there had been an "unusual increase" in the number of beggars, both those who beg "passively" while standing or sitting and those who approach people on the streets. Since 2016, the city has been dealing with an increasing number of migrants waiting to cross over to Switzerland and continue on their journey to northern Europe. The number of migrants in transit increases the homeless population by about 220 to 250 people. The ban is set to last until January 10 of 2018. Until then anyone who is found violating it can be fined up to 300 euros. In the first weekend after the order went into effect, 10 people were fined for begging and multiple artifacts used for collecting money were seized, reported local news website QuiComo. The director of the Catholic NGO Caritas, Roberto Bernasconi, criticised the new measures, saying the ordinance "outlaws Jesus Christ himself". Member of the local parliament for the Democratic Party, Stefano Fanetti, told Euronews that it was a pity that Como was known for these episodes because it is a different city. He added that the ordinance is not applicable because it not possible to militarise the city that way. Fanetti lamented the “damage to the city’s image” because of this new regulation and the neo-Nazi invasion of the Como Senza Frontiere volunteer headquarters in November. “It will have a relapse also on tourism, you do not come to a city perched on itself,” said Fanetti. But volunteers are fighting against the mayor’s ordinance. Some of them told the Huffington Post that they would continue to bring hot tea to those sleeping in the street. The Italian Freedom and Civil Rights Coalition (CILD) is offering legal help to associations and volunteers who may get into trouble with the mayor’s office because of the ordinance. But despite the controversy, Landriscina declared he would not get rid of the ban at a press conference on December 20. Landriscina’s press office declined to comment to Euronews. The head of the local police said the episode involving the volunteers was a "misunderstanding", pointing out that the decree does not explicitly prevent people from helping beggars. In the meantime, volunteers are still providing aid to those in need by moving a few metres away from the disputed location. A demonstration organised by the NGO Como Without Borders will be held on Saturday (December 23) to protest the ordinance and on Christmas Day a flash mob is set to appear in the city's square to protest as well.